BOO! It's scary how close it is to Halloween, it feels like fall snuck up on us! 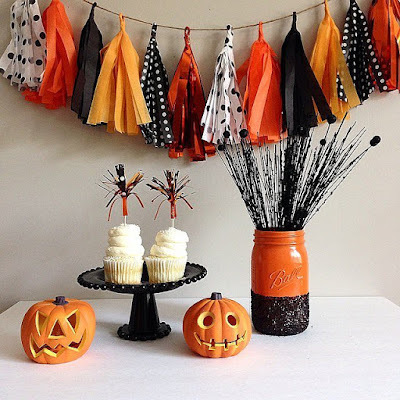 Don't fret, we are here to give you serious Party Envy with these festive and simple DIY tricks and some inspiration treats to help you to pull off a flawless celebration. To make the mason jar featured here, paint the inside of the jar with bold orange paint and let dry. Then paint the bottom half with craft glue and then a layer of black glitter. Once that dries, add another layer of craft glue to seal the glitter. Keep the decorations simple this year and skip the mess by painting your pumpkins instead! The best part about this is that you can add your own unique style in any way you'd like. Have a favorite fall pattern? Show it off! Have whimsical handwriting? Write a creative message! Forget an Ice Bucket, Use a Pumpkin! 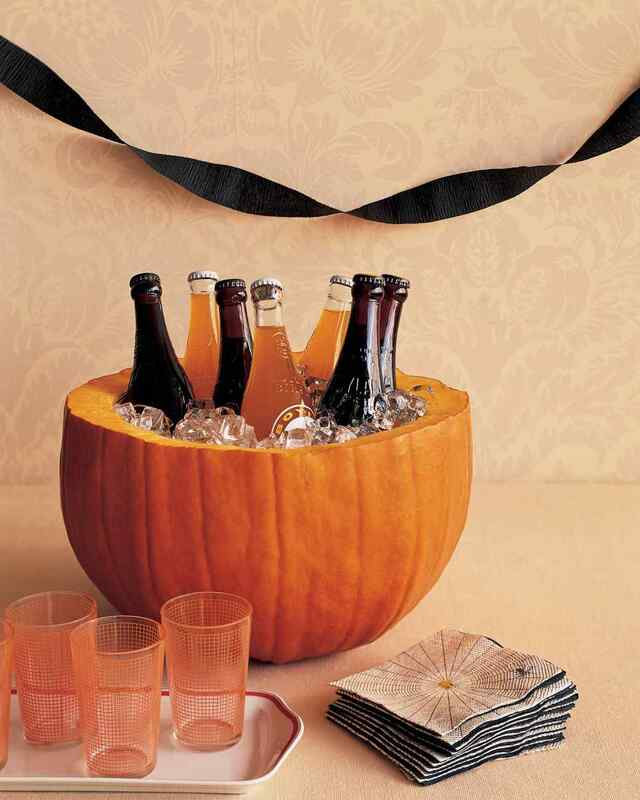 To make this easy and festive ice bucket, first choose a large, wide pumpkin from the pumpkin patch. 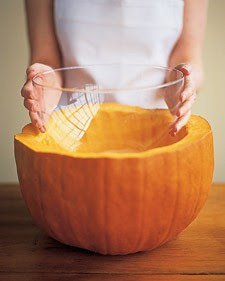 Cut off the top third of pumpkin and scoop out the pulp and seeds from the inside. Next, line the gourd with a plastic or glass bowl to make it last through the whole party. Fill the bowl with ice and the bottled beverage of your choice. No baking and kid friendly! This adorable pudding cups are incredibly simple to make and even more delicious to eat. Start with a chocolate pudding cup and top with a layer of crushed cookie crumbs. 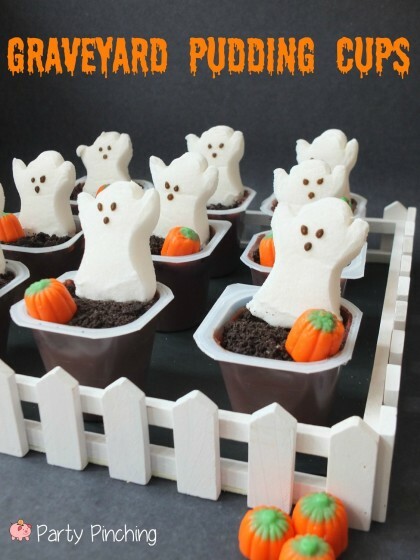 Add a marshmallow ghost and a candy pumpkin for a spooky twist. Of course, the first step in planning any party is inviting the guests. For a limited time, we are taking 25% off all our modern and trendy Halloween products to help you pull off the most fabulous party on the block. Use code WICKED25, now through October 6th, to begin planning your spook-tacular soiree.